The pair behind the drink, Gen Windley and Alice Gorman, came up with the idea knowing that carrots grown by their husbands were going to waste when they did not meet supermarket cosmetic standards. Wanting to stop waste, the women joined with a wine maker, Jason Hannary of Flinders Park Winery, to create a vodka made from carrots. The resulting drink has been described as a clear, slightly-sweet vodka that has a subtle hint of carrot. “Not having done anything with vegetables before was a bit daunting, but after a few experiments we got a great result,” said distiller Jason Hannary. “I like it – it’s a good flavour – having the grape spirit as the base makes it just that little bit different too,” he said. 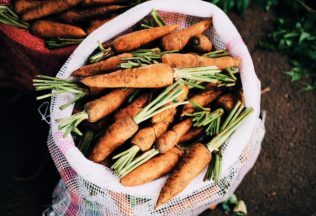 It is not the first time the women and their families have found unique ways to use leftover carrots from their farms. In 2015, one of the women’s husband created carrot beer sold at a Queensland brewery. “Alice and I have four loud and energetic sons so we decided this was the year to create an alcoholic vegetable drink for ourselves!” Gen Windley said. Carrot Vodka will be launched at the Winter Harvest Festival which is part of the Scenic Rim Eat Local Week. The week is dedicated to promoting food and wine from the Scenic Rim region in South East Queensland. Carrot Vodka Bloody Mary by Kalfresh + Flinders Peak Winery from Kalfresh Vegetables on Vimeo. George Weston Foods has appointed its new Chief Executive Officer from a promotion within.